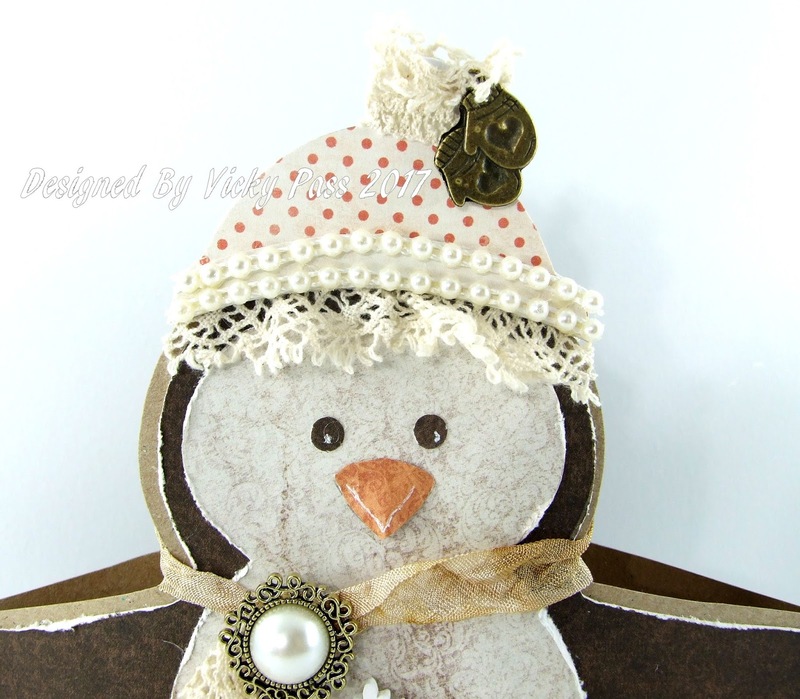 I'm here today with my DT post for Noor Design UK & this week I have something a little different. I have to say I had quite a bit of fun making this lol. I was going to add something else but time ran out for me as I had to get it done before we went away yesterday....yes I'm hoping this has published!! Have you seen the wee iddy biddy penguins.......its like they are the babies lol. I cut them out with the die (links bottom of post) then added Pumice Stone ink whilst they were still in the dies. 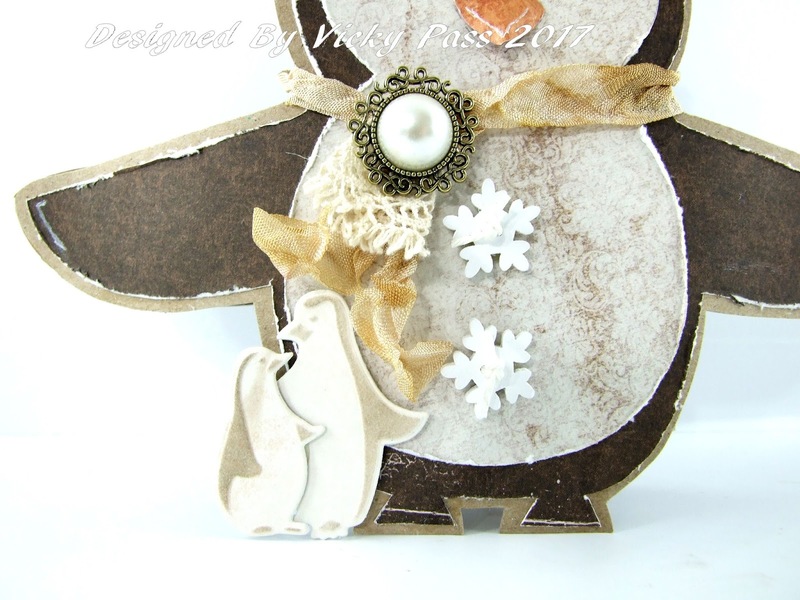 They were cut out using the same Maja Design paper as the penguin' hat....just the reverse side. Speaking of the hat,how darn cute is that. I cut it out using Maja Design Summertime paper, both sides were used & I added pearl trim to the bottom &lace &a charm to the bobble part. The nose was cut out using Pion Design Witching Hour, I moulded it a bit so it was flat against the face. I just glued one edgeon so it was sticking out. 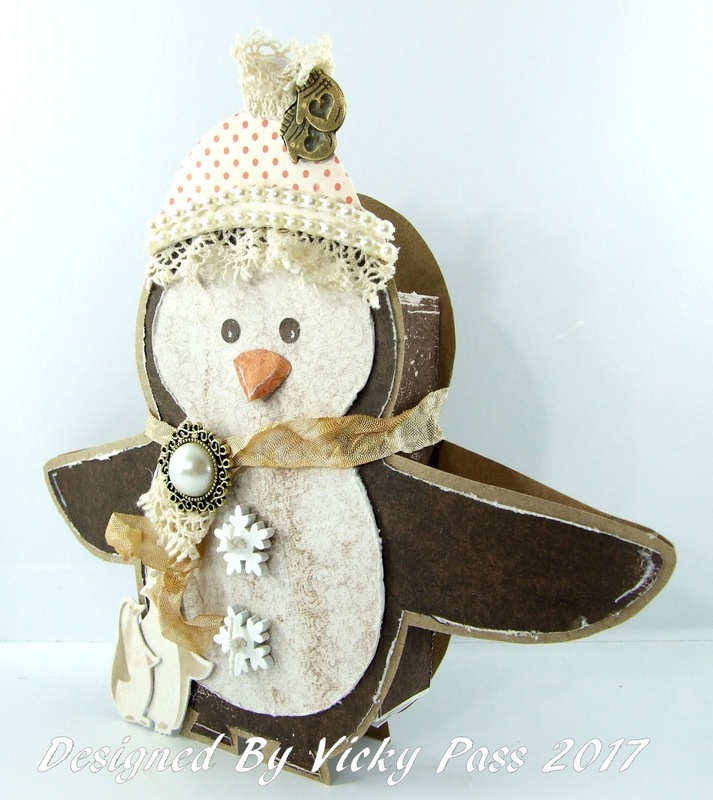 I was going to make a Penguin shaped card but instead made a box.......should put Penguin choccy biscuits in but didnt have any in unfortunately lol. I added Snowflake buttons & seam binding for a scarf with a bit of added lace & of course a bit of bling. I distressed the paperto go with the whole shabby chic feel. 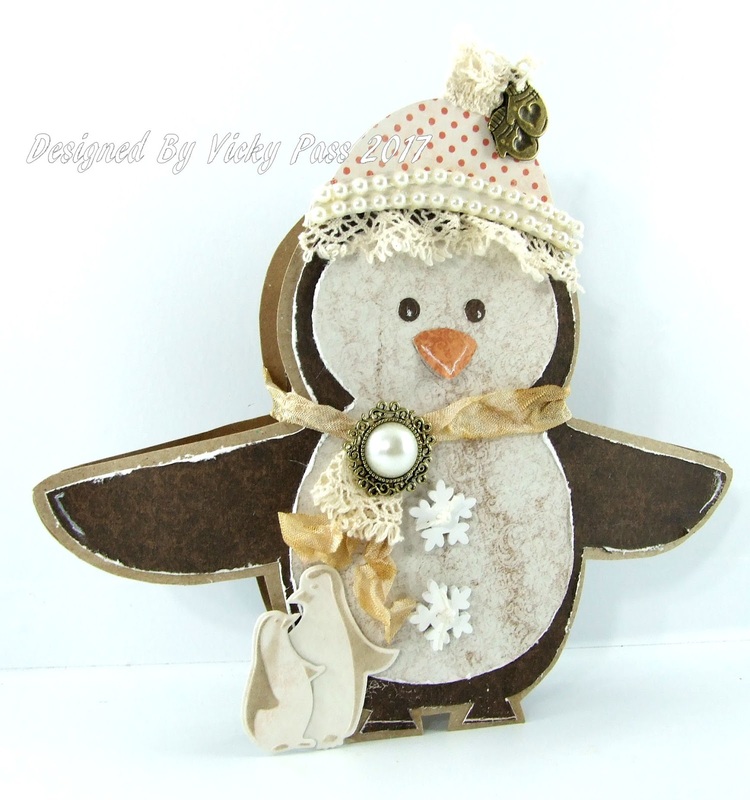 I quite like my penguin, think I will be making a few of these for the grandkids.....they will love em!! 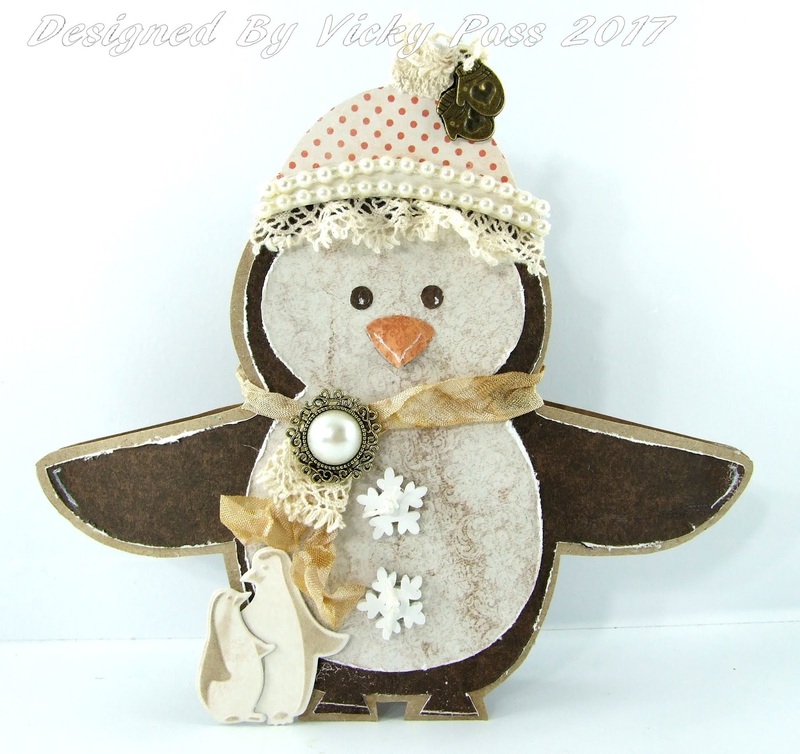 Tracy has added lots & LOTS of new items to her store so why not pop on over to take a peek at everything. Thanks for stopping by, I will do a big catch up when I'm back later this week. He is so darn cute. Great idea to make a box out of him. Thank you so much Sue, I wanted buy some penguin biscuits to put in the box but my local shop didnt have any....thought it would add to the cuteness lol. Take care sweetie. Thank you so much Fiki really appreciate your comments shug. Take care. Thank you Tracy sweetie & thank you for your lovely comments I really appreciate them hun. Take care.